Once again, I'm behind on blogging. Which, let's be honest, isn't surprising because I always switch my hobby to obsessive reading in the summer. As usual, my Goodreads list has grown exponentially in the past few months, with many thanks to my recent subscription to Book of the Month. One of those projects was the Kindness KAL Shawl that I started... I don't even know when. I think it was before I left for a conference in April. Regardless, it took me forever to knit and even longer to block because it sat around in a box for what's going on three months. The biggest reason I knit this shawl was because I'd recently acquired (read: hoarded) a massive stash of the new-ish Knit Picks Stroll Gradient. I'm officially in lerve. I've always had a thing for long gradients and the easy effect they can add to simple knitwear designs, but the only ones I've found in a usable quality have been hand-dyed and kinda pricey. Y'all know I'm a huge fan of indie dyers, so I don't say that to knock them, but it's great that I can now have the option to buy these, too. The colorway I selected is called Unicorn Princess. If you have to ask why I chose that, then you clearly don't know me at all, nor have you paid attention to this blog. I say to you: UNICORN. PRINCESS. Anyway, I finally got around to blocking the heck out this thing over the weekend. I opted to block it in a round formation instead of pulling the lace pieces down. Why? I'm not sure. I went a little crazy with pinning it down and that's just what happened. So that's the latest "off my needles" update. As far as other life stuff, I've mostly been busy with work, light traveling, visiting with friends, and planning more upcoming light travel. Musikfest just ended in my area, too, so I was able to see a bunch of good bands I like and eat poutine. All in all, it's been a win of a summer. Okay, okay. I know I've been slacking on getting my unboxings up on a regular basis (at least on the blog). As usual, life has a way of deterring me from my hobbies and steering my attention toward other things. For example, I spoke at a major marketing conference toward the end of April, so I spent the month between recording this video and actually speaking freaking out just a tad and making sure I was prepped. Also, there's a little thing I go through on an annual basis that's a blogger's equivalent of "writer's block". And I haven't been knitting much because I've been working on a super secret project that will be revealed shortly. Mrs. Crosby lends her worldly, experimental touch to this month's shipment, sending not one or two, but THREE semi-solid skeins of Steamer Trunk, a sumptuous, worsted-weight, 100% merino. Semi-solid colorways Lagoon, Smitten, and Garden House play together perfectly. Patchwork Purse Collection #1: Two purses, one pattern - designed by Irene York, these playful purses work up using clever stitch manipulation and interesting construction. 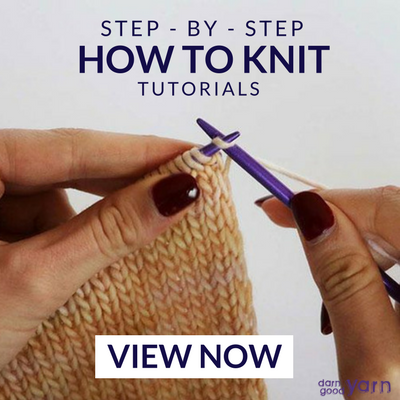 Suitable for beginners and intermediate knitters, there are two styles included in a single PDF. Work them in one color or two for different effects. Leave the strap off for a fun notions pouch you can pop into your project bag! I Backed "The Knit Show with Vickie Howell"
If you've been around as long as I have (and I'm not exactly a spring rose anymore), you'll remember an amazing show called "Knitty Gritty" that aired on the DIYnetwork back when said channel wasn't frothing at the mouth over home renovation projects. The show was hosted by none other than my knitting idol Vickie Howell. 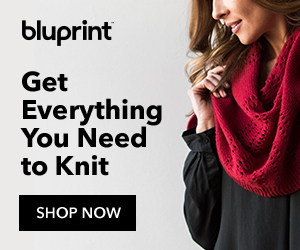 You've probably heard me say several times that I learned how to knit from my Oma. While that's true, the woman who reinvented knitting for me (and taught me more than the basics) was Vickie Howell, and "Knitty Gritty" was the comforting-yet-educational reason I made it through a depressing breakup with my long-term, live-in boyfriend at the time. I used to watch the show even when I hadn't touched my needles in years (and when I really only knew how to knit and purl). I experienced my first break-through thanks to Knitty Gritty: the yarn-over! And I've been plugging away ever since. Needless to say, I keep a special place in my heart for Knitty Gritty and it's I-want-to-be-best-friends-with-her-host, and I've missed being able to tune in and see what she and her prolific-knitter guests have been up to. Well, we have that chance yet again. 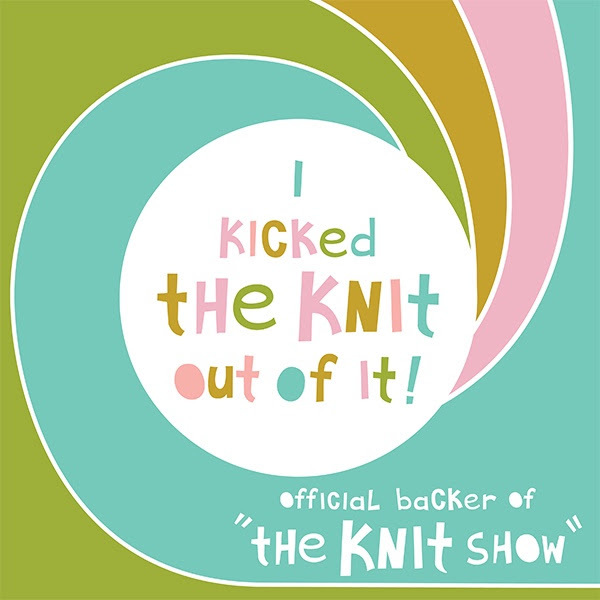 I'm here to implore you to back a Kickstarter project I just found out about (and have backed myself): "The Knit Show with Vickie Howell". It'll the the first crowd-funded, professionally produced knitting show ad most importantly: it brings my favorite knitter back to our screens. How does crowdsourcing work? I won't waste your time explaining it here because Vickie does a great job of that herself in this Facebook video. But basically, if you back the project, you can choose from different levels of support and receive a little reward if/when it goes live. To me, it's more than worth the investment. As someone who has recently started a fledgling knitter group for my fellow Skimmbassadors (if you're not reading the Skimm, why? ), this will become an important resource for them and other beginners. I know it did wonders for me, and there's no reason others should miss out. Want more details? Check out the Kickstarter campaign here and make sure to review the different rewards you can get. I really want to see this happen - for all the reasons described above, and also the fact there isn't any good craft programming on TV anymore. I feel like I've switched entirely to YouTube for my crafting needs, and although I move than love my podcasts, I miss this format. So how about we get this show on the road?! I'm sluggish. I don't know what else to say, but as I'm typing this, all I can think about is how much I want to crawl into bed with one of my books and fall asleep within a matter of minutes. Between that and the wrist pain I've had since Christmas, my knitting time has been little-to-none. That doesn't mean I haven't been doing anything, but it means I forced myself to take a break so my wrist got better (it hasn't) and lost my mojo in the process. Pattern: Not really using a pattern at this point - just straight knitting socks based on how I know they fit! This project is taking forever, so I'm a bit sick of looking at it. But it's been nice to take with me on brief car trips because the other socks I'm working on are a bit less mindless. It's that time again: time for me to drool over my latest yarn acquisitions, this time courtesy of KnitCrate! The good folks there reached out to me about a month ago and asked if I had any interest in reviewing their boxes. As you may or may not know, I used to be a KnitCrate subscriber, but cut back because I needed to save money (I think you can see by all my stash enhancements that my plan didn't go well). Since the early days, they've come under new management (or ownership) and the branding has changed a bit, so I was - of course - interested to see what was new! Depending on what's included, you now either get a cute box (as is the case with the sock crate I opened first) or their traditional red envelope. Read on to find out what was inside! A swirling treat of a sock, designer Mindy Vasil's Soft Serve Socks are a playful and delightful knit. You'll love watching the colors play out as your knit from the toe up. This project is perfect for me, if only because it's knit toe-up. I just knit a pair of cuff-downs and I now hate my life. Soothe yourself at the end of a long day with this handmade, heart-shaped bath bomb from Etsy artisan Petting My Unicorn (with a name like that, you know I was going to be enthusiastic). Scented with lavendar essential oil and made from premium ingredients, this bath bomb is specifically designed to relax sore muscles (perfect to recover from a knitting and Netflix binge!) Or, in my case and as mentioned in the video, recovering from a long week or work travel. Glad you asked ;) The price for a monthly sock crate is $29.94, shipped. Which is awesome because this month's crate has a retail value of $31.74. So you're more than making your money back, especially when you consider shipping costs. Mrs. Crosby is a really great yarn to work with, too - plus, it's an exclusive colorway! You know how I feel about exclusivity!